April 23rd (St George's Day) is the anniversary of Shakespeare's birth, and is a time of celebrations in Stratford-Upon-Avon. 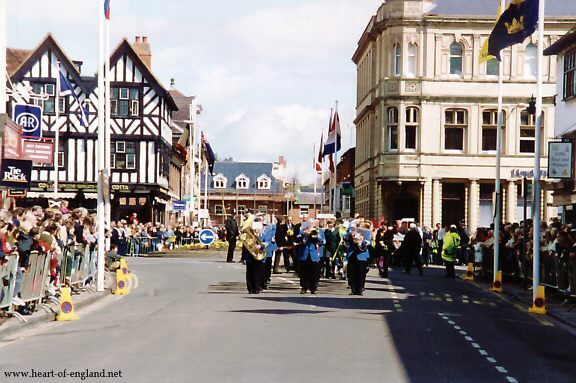 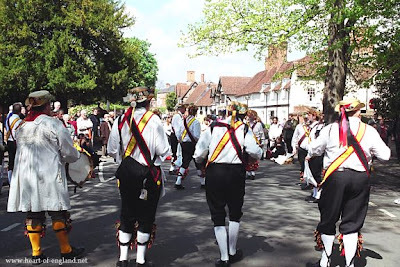 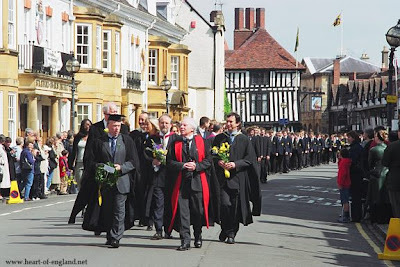 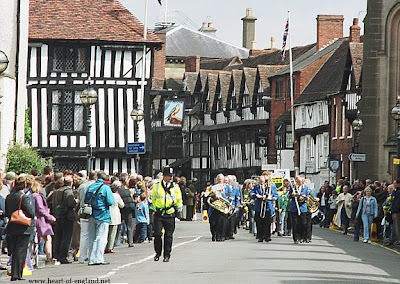 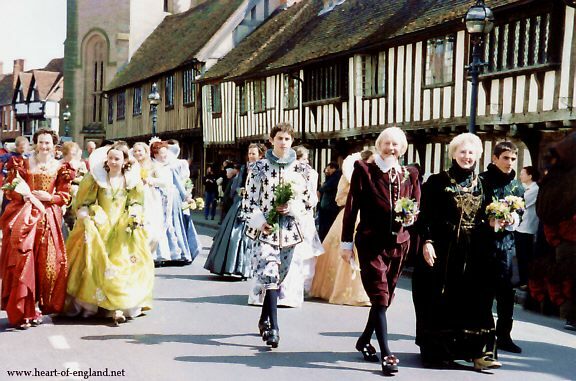 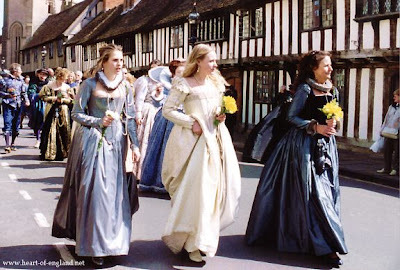 Among many events is a procession through the town, of bands, civic dignitaries, actors, morris dancers, and the staff and pupils of some local schools. 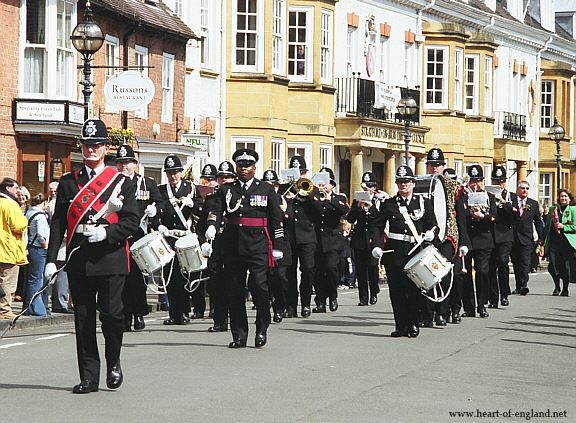 The procession is headed by the Evesham Celebration Reed and Brass Band. The West Midlands Police Brass Band. 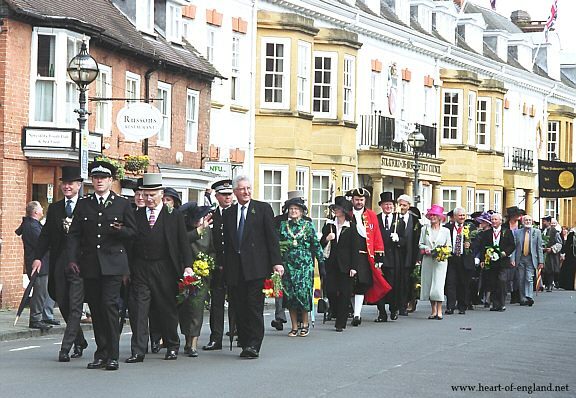 Local dignitaries are followed by members of the Diplomatic Corps, the Ambassadors to the UK from most nations. Costumed actors and actresses, led by Shakespeare himself. The staff and pupils of King Edward VI's Grammar School (Shakespeare's School). 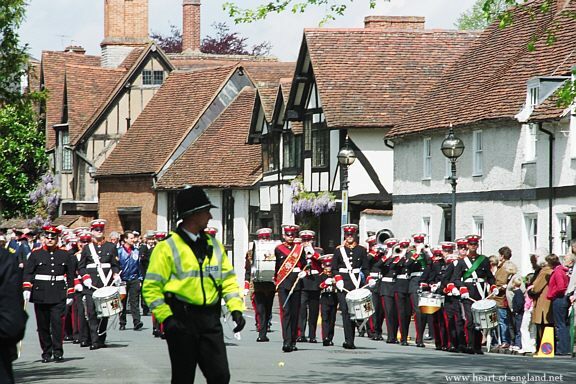 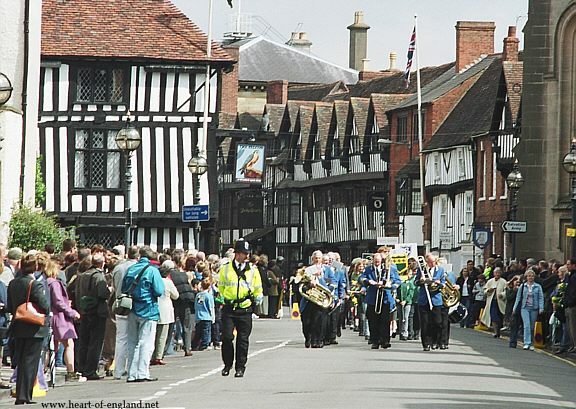 The Coventry Corps of Drums winds its way down Old Town Road, past Hall's Croft. 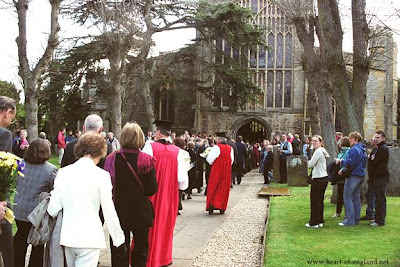 The procession terminates at Holy Trinity Church, where participants place their flowers on Shakespeare's grave, inside the church. At the end of the procession come the Shakespeare Morris Men. 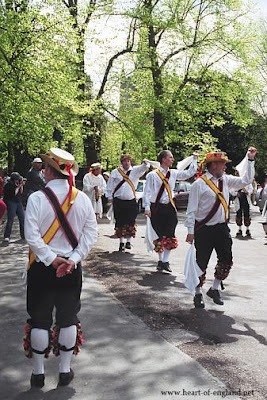 The Shakespeare Morris Men, with the spire of Holy Trinity Church in the background. 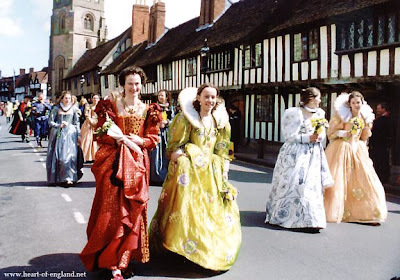 The Shakespeare Birthday Celebrations are normally held on the Saturday nearest to April 23rd.